Finally, my dream came true... 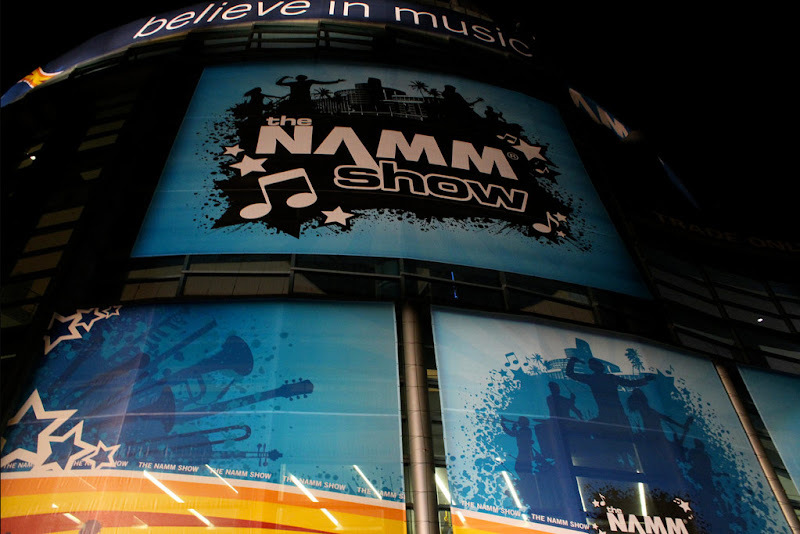 I got to attend a Winter NAMM show in Anaheim, CA!! Pinch me, please. :) I have always wanted to attend this show to see all the awesome new gear and, more importantly, some of my biggest heros... and I can say that the Winter NAMM show is even bigger and more impressive than I thought possible, on many levels. First off, the show takes place in the Anaheim Convention Center, a 1.5 million sq. ft. facility that was literally chock full of gear; and, just about every famous guitarist I could think of was there at some point, to boot. There were live performances at booths (I got to see Frank Gambale and Brian Bromberg play at the Carvin booth, and Steve Morse and Dave LaRue at Erine Ball's). There were also some great guitarists just walking the floor. For example, at one point we ran into Andy Timmons, Gary Hoey and Gretchen Menn! I could write a small book on the experience, but I'll let the pictures do the talking. Check out the Flickr widget below of some of the great photos Claudia took of the experience. Can't wait to go back next year!